The eight days between October 18-25 were for me the perfect mixture of pleasure and pain. 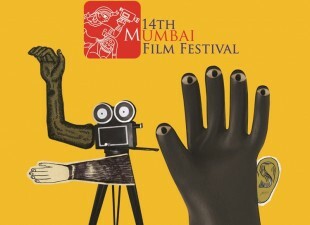 I was thrilled about the 14th Mumbai Film Festival, which had the most exciting line up of about 200 films from the world over. I was also supposed to be working on almost all of those days. Let’s just say, the 18-hour long days left me more satiated than sore. Apart from the regular nods to French and Italian classics, this year’s MFF also saw a very healthy mix of indie cinema from the US as well as relatively-unknown-on-the-cinema-world’s-map Kazakhstan and Afghanistan, which made their presence felt very strongly. As much as I would have loved to sit through most films, (so does every festival-hogger), I obviously couldn’t. But I was very pleased with the ones I did watch. Honestly, and I know this is quite hard to believe, but out of the 20-odd films I did watch, I found not one even remotely “bad”. There were some really good and talked-about films like Rust and Bone, Kauwboy, Ship of Theseus, Le Tableau and others that I ended up missing, but I hope to catch them soon, somewhere or the other. 1. Mystery (China) – Lou Ye‘s suspense-thriller had already been well received at Cannes this year. This new-age noir about a polygamous-adulterous husband and his jealous, scheming wives is well done. I particularly enjoyed the way the suspense keeps the audience changing their minds about the killer till the point it is actually revealed. Good camerawork and a Western approach to the whole screenplay separates Mystery from the more widely-known Chinese cinema that usually deals with their history, mythology and the martial arts. Only if the ending were slightly better. 2. 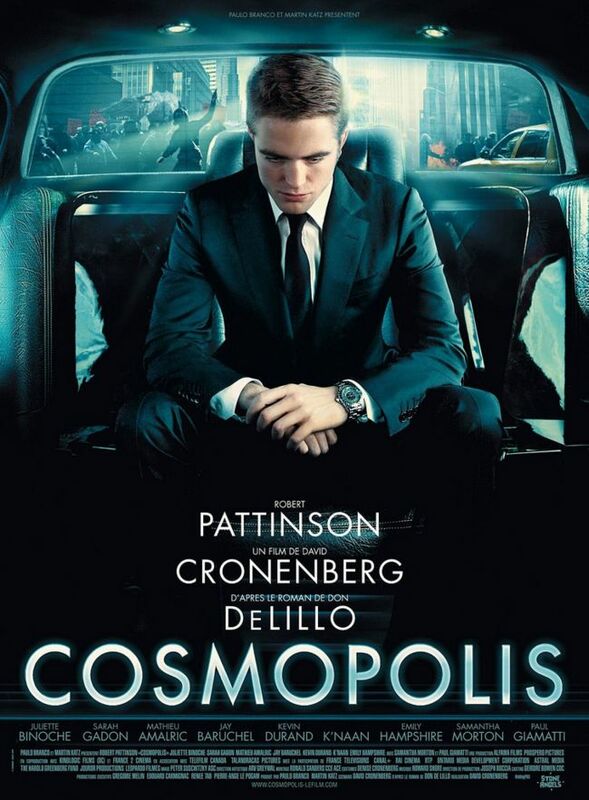 Cosmopolis (US) – David Cronenberg‘s adaptation of Don DeLillo’s book of the same name is not really a favourite — not yet, at least. Honsetly, I haven’t been able to make up my mind about it and possibly that is exactly why it has left me so intrigued. As Eric Packer, the young multimillionaire crosses Manhattan to get a haircut from his preferred barber on a day the roads find themselves choc a bloc with traffic, his interactions with others in his stretch limo drop references to the power of the emerging economies, the rise of the yuan against the dollar and the fall of capitalism. From the images you see in the frames you sense that the dystopian world you had read about or watched earlier is probably already here. The dialogue delivery, sterile, except in the case of the barber, has a certain philosophical touch to it — quite like Fight Club, but still not quite there. The introduction of a new character in the last 20 minutes of the film makes it an engaging verbal tennis match. It all adds up to the kind of film you need to watch a few times before you can decide how you feel about it. 3. 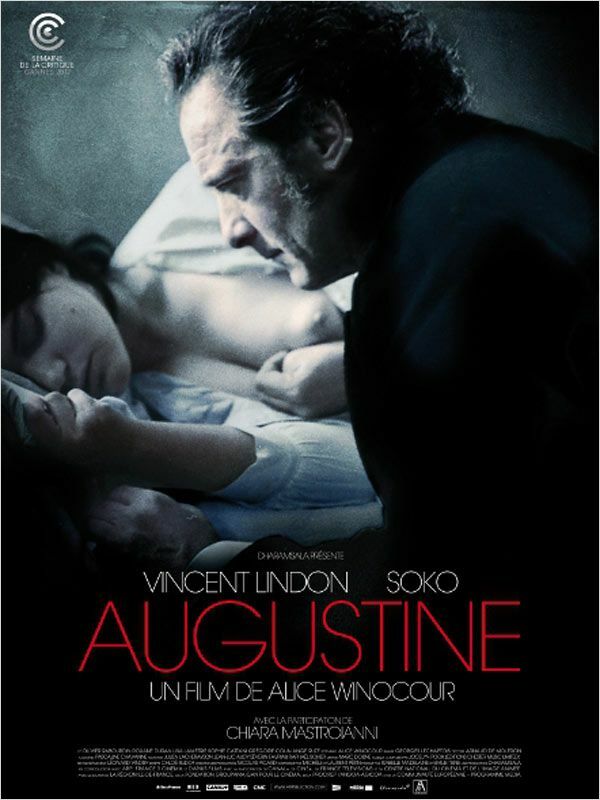 Augustine (French) – Set in France in the late 19th century, the story explores the journey of 19-year old Augustine from being an awkwardly pubescent maid in a high-class Parisian household to a seductress aware of the power her new sexuality holds over those in positions of authority. Against the backdrop of a dark and stony psychiatric hospital, doctor-patient relationships and the exhibitions of “disease” that are necessary for grant for research and treatment of the enigmatic patient, the cinematography has ominous undertones that make it an engrossing watch. Alice Winocour‘s debut feature is definitely good. 4. 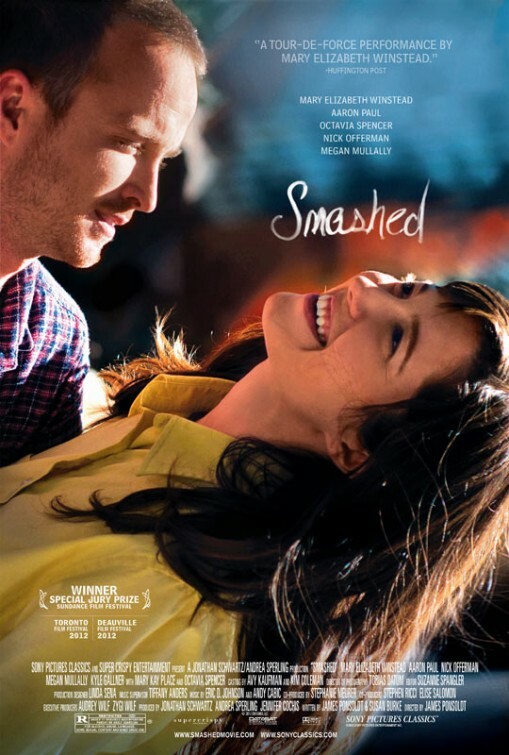 Smashed (US) – A Special Jury Prize winner at the last Sundance, James Ponsoldt‘s Smashed is an interesting take on the other side of alcoholism. When one out of an alcoholic couple decides to go sober, things don’t go the intended way. With a very honest performance by Mary Elizabeth Winstead and an equally competent supporting cast, the film has some warm and funny moments to look forward to. Most importantly, it brings into question the bases of compatibility in couples, which our generation may need to look at seriously. 5. Amour (France) – There is nothing new that I can say about this Palme d’Or winner that has been written about by every cineaste who has seen it. All I will say is, I watched this film in a theatre with a seating capacity of 1,110, every seat was occupied, and there was pin-drop silence for the 126 minutes that it ran. You have no choice but to give in to Michael Haneke‘s love story about an affluent urban couple who have to come to terms with the challenges that old age throws in front of them. And there is a reason we love Jean-Louis Trintignant and Emmanuelle Riva – it isn’t easy to be funny, weak, poignant, strong and loving at the same time. They make it seem effortless. 6. 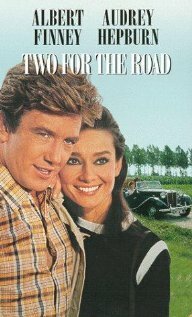 Two For The Road (UK) – I will be eternally glad for having had the opportunity of watching Audrey Hepburn on the big screen at least once. When I saw that this film by Stanley Donen starred her, I knew there was no way I was watching another film in the same time slot. The screenplay moves back and forth across various points in a married couple’s life – and every time they are on a road trip, either by themselves, or with friends. The references and their conversations point to their stability as a couple, their love for each other and what they have grown to resent in the other in each of these stages. In the end, the montage chronicles these incidents beautifully using the cars that they have travelled in during the different phases of their life. 7. No (Chile) The amazing Gael Garcia Bernal plays an advertising executive who plans a 15-minute campaign to be played over 27 days to try and bring democracy back to Chile after years of dictatorship. He chooses positive themes over depressing ones and has to constantly prove himself to his boss (who is working on the exact opposite campaign) and colleagues and fight personal and institutional odds. 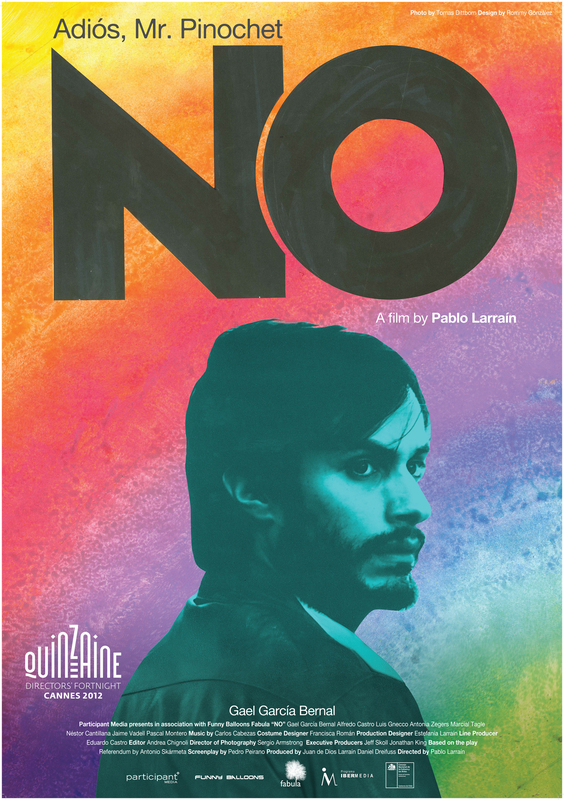 No by Pablo Larrain is the last in a trilogy. The message of hope and optimism as conveyed by this film is overwhelming. 8. Electrick Children (US) – Director-writer Rebecca Thomas is said to have drawn incidents from her own life to create this film. And I cannot help but be amazed that this form of naive but absolutely reverent faith can still exist in children in the “developed world” today. A Mormon girl whose family has renounced all forms of technology chances upon a rock and roll tape. Soon after, she becomes pregnant and goes out into the world to look for the father of the child who she believes is the singer on the tape. Funny and innocent, Electrick Children addresses everyone’s need to define their own identity and seek the purpose of their life. 9. 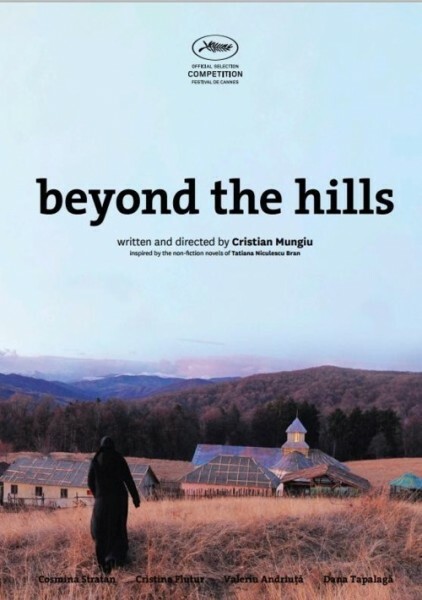 Beyond The Hills (Romania) – This is what you call a powerful film. Again, a star at Cannes for screenplay and acting, Cristian Mungiu‘s movie questions the authority of institutions of religion, law, medicine and every body that holds power by virtue of its superiority in any field of knowledge. When an outsider steps into an orthodox church to take her childhood friend from her orphanage days back with her, she disturbs the order there. The contradictions then play out. The deeply devout nuns do not fail to turn to science and medicine when they need it, but the moment any of them is understood to doubt the power of their Almighty, they are frowned upon. Beyond The Hills is a stark, unadorned and compelling look at how convenience guides belief. 10. Celeste & Jesse Forever (US) – Another story of a relationship, this one by Lee Toland Krieger has made a smart romcom out of the amicable divorce of a couple. Written by lead actress Rashida Jones, this movie packs a funny punch with its quirkiness, cool dialogue and really cheesy yet funny jokes that couples share. Professionally successful Celeste asks underachiever Jesse for a divorce because she wants her husband to be able to drive their kids around in a fancy car that he owns. But she cannot take it in her stride when he moves on with another woman before she can find a man for herself. Their unusual reconciliation forms the major chunk of this story.